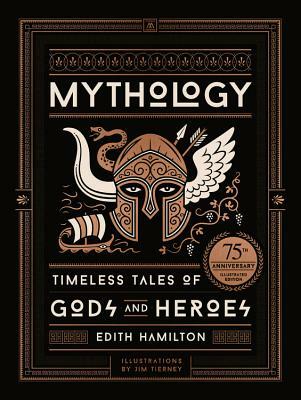 In celebration of of the 75th anniversary of this classic bestseller, this stunningly illustrated, beautifully packaged, larger-format hardcover edition will be beloved by fans of Greek, Roman, and Norse mythology of all ages. Edith Hamilton (1868-1963) was born of American parents in Dresden, Germany, and grew up in Indiana. Through the first quarter of the twentieth century she was the headmistress of the Bryn Mawr School in Baltimore. Upon retiring, she began to write about the civilizations of the ancient world and soon gained world renown as a classicist. Her celebrated and bestselling books include Mythology, The Greek Way, The Roman Way, and The Echo of Greece. She regarded as the high point of her life a 1957 ceremony in which King Paul of Greece named her an honorary citizen of Athens. Jim Tierney studied illustration at the University of the Arts in Philadelphia.